Don't Spend More and Get Less! A Place For Your Shoes! From design through installation every Built-Rite system is custom manufactured using superior craftsmanship with expert installation. It’s even backed by a Lifetime Limited Warranty. Don’t spend More and get Less! 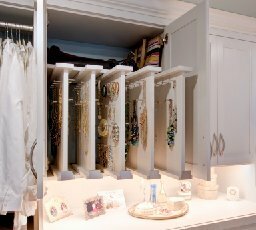 Unsurpassed Designs – We spend the extra time it takes to get your closet layout perfect. Our Installations are unmatched. It’s the little details that make the difference. Better Personal Service – Better Prices = The Best Value! We’ve partnered with top brands for over 75 textures and finishes to match any style or taste possible. Denis did an absolutely phenomenal job designing my new closet. A true professional to work with from start to finish. I couldn’t be more pleased with how my closet came out. I can’t wait to have him back to design my daughters closet soon. 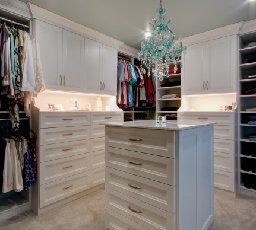 I highly recommend him for closet design. 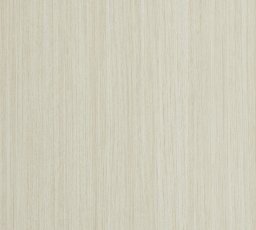 I found Built-Rite Closets while searching online so I called for an estimate. Denis came well prepared with great ideas and suggestions. He is very knowledgeable, professional and prompt. The spaces where I needed my closets built were somewhat complicated with multiple angles and some tight areas. He made few suggestions to plans I envisioned. We implemented some of them during the initial install but his suggestions turned out to be perfect so I had him come back to implement the rest. The installation was timely and clean. The end result as even better than I expected and I am very happy I had Denis handle this job. If you are thinking of organizing your life… this is the man that will do it for you. I cannot express how pleased we are that we decided to do this. 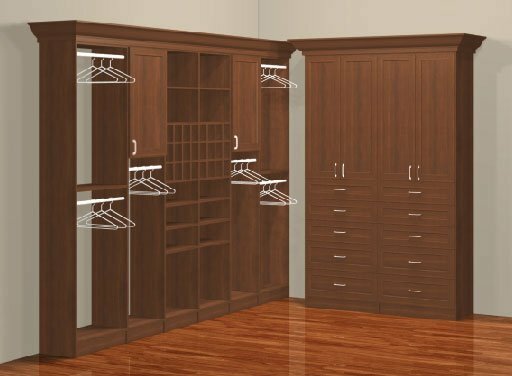 We are extremely happy to have gone with Built-Rite Closets. The quality of the materials and workmanship is superior to other products we looked at. Working with Denis was a fabulous experience start to finish… timely, creative, convenient, considerate, responsible and top quality! We had a great experience start to finish with Denis! He took alot of time explaining the options, and was very patient with our selection of materials. He is honest and offers a good price. He scheduled the installation quickly due to our baby that was coming soon. He and his sons were extremely organized, clean, and respectful of our other children during the installation. 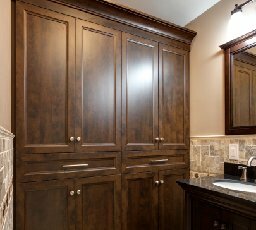 The end result were 2 beautiful closets, he does such great quality work! Very pleased with the overall experience!! What a FANTASTIC job and experience! We loved our closet so much that we gave a closet to our son as a house warming gift! Both are beautiful, practical and very functional! Denis is an EXPERT in his field! THANK YOU!!!!! 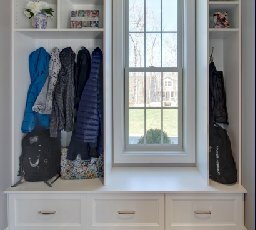 We are thrilled with the work that Built-Rite did for us with our closets! We would highly recommend them to anyone. Fantastic results and great quality. 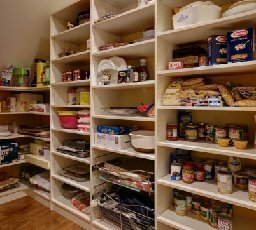 Very well priced, much better than the bigger brand names in closet organization. I am thrilled with my new closet and doors. Denis is great! A true pro who knows his business. Fairly priced with great attention to detail! No one will build you a better closet than Denis! From design, installation, finished product- he is the best in the business! Denis was a pleasure to work with. He explained everything in detail. His mobile showroom is one of the coolest things I’ve ever seen. He was thorough, professional and I cannot say enough about the work. It’s perfect! Thank you Denis and Built-Rite Closets! Denis really knows closets! He is incredibly thorough and thinks of everything. The workmanship and quality of the materials are excellent. My new closets are truly one of my favorite things about my beautiful new house! Have never felt so well organized! Everything finally has a home. They did a wonderful job – from designing to installation to pricing (very reasonable). 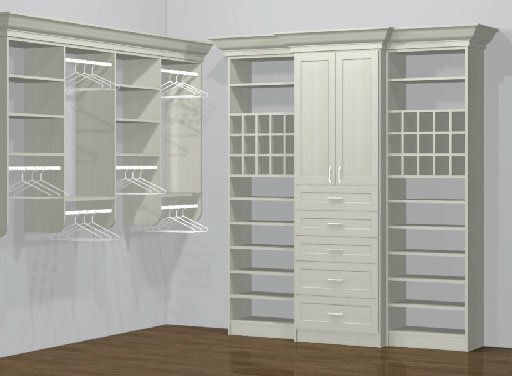 We love the finished product and will be using them again to upgrade other closets in our home. We are very pleased with the closet Denis built for us. He really maximized our closet space, which is underneath the roof eaves. Denis is extremely professional, and detail and customer service oriented. We love our new closet and highly recommend Denis. 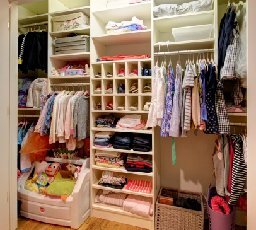 Built-Rite did an amazing job transforming a small, cramped closet into a functional, organized space. Denis (the owner) is fast, friendly, efficient and pricing is very fair. Highly recommend, I will be using for more closet projects in the future. Our Mobile Showroom Comes To You! 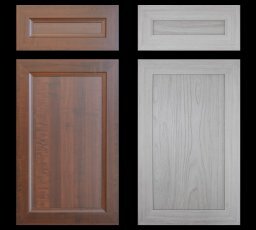 Built-Rite Closets was founded on the principles of honesty, integrity and quality workmanship. With over 30 years experience in all aspects of custom organization systems and built-ins, we offer an unparalleled attention to detail. We’re meticulous when it comes to our designs. Working together we take your ideas and needs, then fashion them into carefully crafted solutions. We use state-of-the-art equipment, precise to 1/64″, making your project perfect.